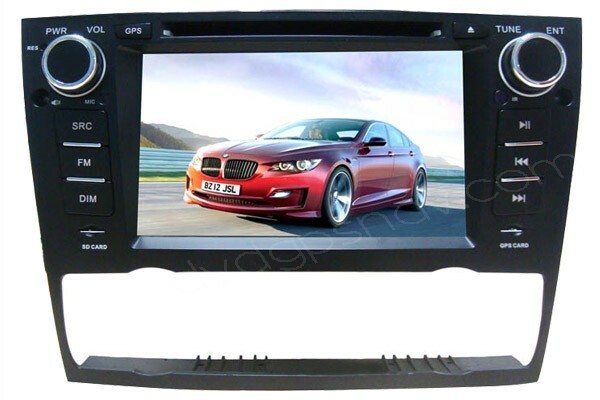 This gps navigation unit is specific for new BMW 3 series of BMW E90, BMW E91, BMW E92, BMW E93, unlike the other model of e90 dvd, this model is made with different software, so UI is different, you can choose either one you like, the functions are more or less the same as the other e90 unit. Please note: If there's fiber optic cables to amplifier in the trunk for your car, this unit can not fit, you can confirm with your local BMW dealer or BMW service to see if your car has fiber optic cables to amplifier. BMW 3 series is one of the best selling models for BMW. Some of them come with basic CD player and radio in the dash, and some of them has factory GPS navigation system, while the factory BMW 3 series head unit does not have so many features compared with aftermarket BMW 3 series DVD GPS nav, it has many features which bring you convenience and enjoyment in the car. This gps navigation unit is specific for BMW E90, BMW E91, BMW E92, BMW E93, unlike the new model of e90 navigation, this model is made with different software, so UI is different, you can choose either one you like, the functions are more or less the same as the other e90 unit.